Secret Agent (7375) is a debonair intelligence themed set, more James Bond then the earlier Sabotage themed Secret Mission to Spy Island. The collapsible pistol-rifle in the case is a brilliant design that reuses the German Soldier's Luger. The wire recorder may well have been influnced by the tape recorder opening of the Mission Impossible on TV, a show that inspired how many kids played with the set. 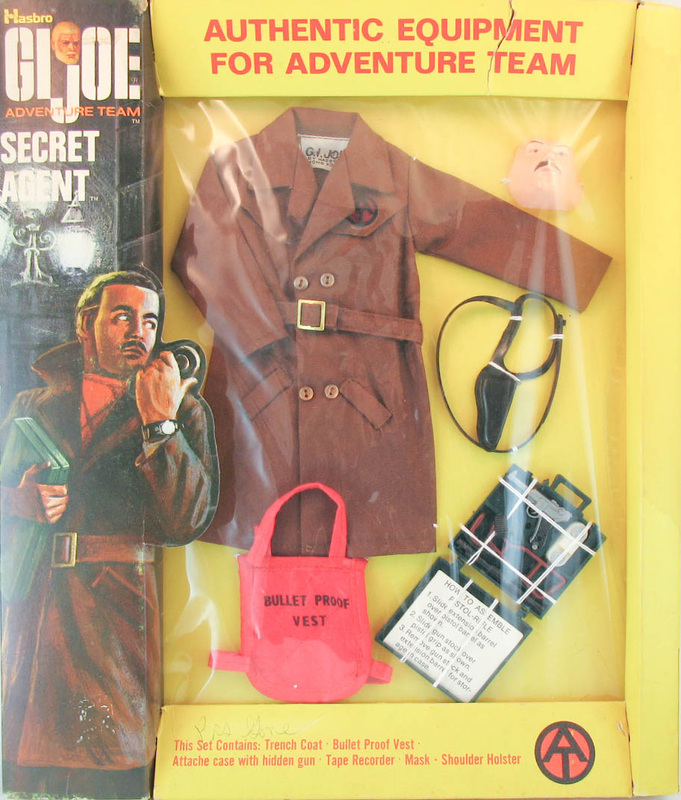 Later versions of the set had an all-black Luger and a sticker reading "Bullet Proof Vest" rather than the words silk screened onto the quilted fabric.